Sony's Cyber-Shot DSC-H70 is a powerful, yet portable 16-megapixel camera. With impressive features, and ease of use, the H70 is sure to please. It did have some downfalls in the image quality department, so be sure to look at several models before making your final purchase. Read more in our Full Conclusion. 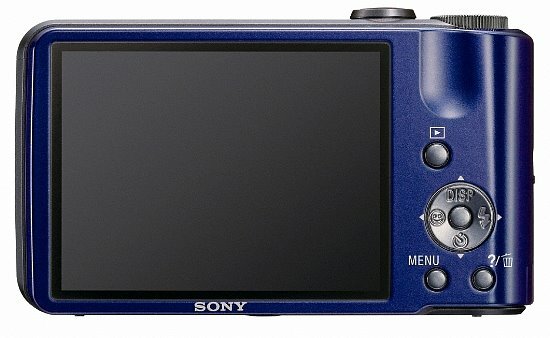 Sony's Cyber-shot series of point-and-shoot digital cameras is known for being budget-friendly while showcasing some of the company's more advanced features. The DSC-H70 is very similar to both the DSC-T110 (which costs exactly the same - you trade the H70's lens for the T110's touch screen) and the DSC-W570 (which costs about $50 less). In each case, these cameras feature a 16.1-megapixel CCD sensor, 720p HD movie recording and Optical SteadyShot image stabilization. But the real standout features here for the DSC-H70 is the Sony G 10x optical zoom lens as well as Active Mode, which stabilizes handheld HD movies, and Motion Detection, which suppresses blur in people and other moving subjects. In terms of features, most of the $200-range Cyber-shot cameras feature many of the same software applications. Therefore, it's no surprise to see Face Detection, Smile Shutter, iAuto mode (which automatically optimizes camera settings for your shooting locales), and Sweep Panorama Mode (which uses a CCD sensor to capture panoramas in one easy "press and sweep" motion), SteadyShot image stabilization (to reduce blur) on the DSC-H70. Built-in help is also available via the "In Camera Guide" software, which allows users to search by keyword and/or purpose to find help topics and ease functionality. Dual card slot accepts both SD/SDHC/SDXC and Sony MS Duo memory cards (one at a time). 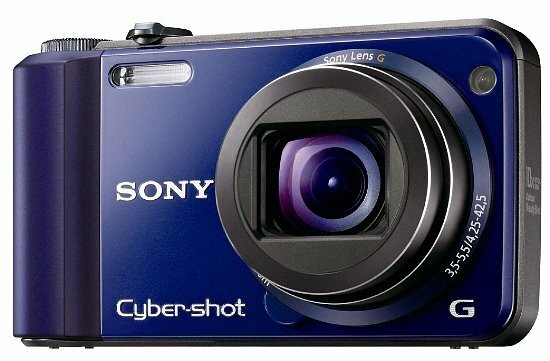 The Sony Cyber-shot DSC-H70 camera is available in black, red, blue or silver for about $230 US. See our buy box below for the most current online pricing.